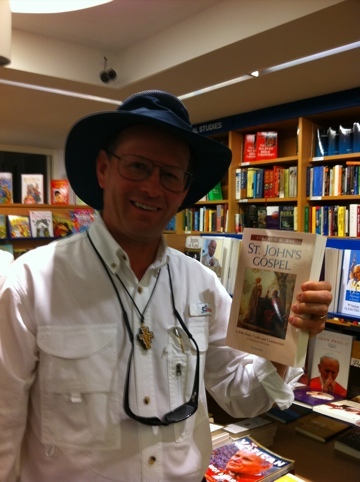 It’s always nice to walk into the Ancora Bookstore at the Vatican and find your book for sale there. It is humbling and gratifying. Just signed a contract with Ignatius Press for my manuscript on Genesis. Another two books also in the pipeline. Blessed be God forever. After a great morning touring the Sistine Chapel and St. Peter’s we had Mass at Fornace. We all went to our favorite restaurant La Pilotta da Mario’s. After lunch we gave everyone the afternoon free and they scattered to go pray, do some shopping, and go back to visit St. Peter’s. It was a grand day! We all regroup for dinner at 7:30 when we will meet Mr. Badde, the author of the new Ignatius Press book The Face of God.